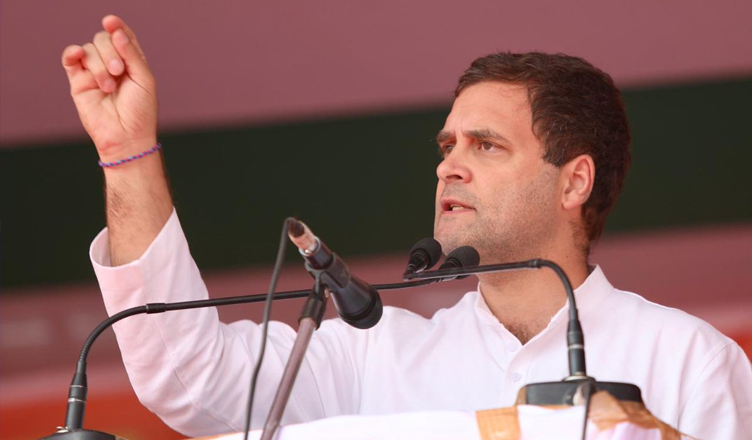 Congress President Rahul Gandhi on Tuesday promised the people of Arunachal Pradesh that the grand old party will not let the Citizenship Amendment Bill, which, according to him, will weaken the North-East states, pass. “BJP leaders want to implement Citizenship Amendment Bill. This is a method to weaken the NE states. We have decided to not let the Bill pass. We believe your culture and history is the strength of the nation,” Gandhi said while addressing a public meeting in Itanagar, Arunachal Pradesh. The Congress Chief also assured that they will restore the Special Status category and North East Industrial Policy that was revoked by the Bharatiya Janata Party (BJP). “There are many such places in India that deserve special attention, hence, we provided special status to the North East states. These states face some unique problems. We want people of Arunachal to make decisions for their states. North East needs industrial development and on that account we introduced the North East Industrial Policy. Even this was destroyed by Mr. Modi,” he said. “We will restore the Special Status category and North East Industrial Policy that was revoked by BJP,” he added. Accusing the Rashtriya Swayamsevak Sangh (RSS) and BJP of destroying the unique culture of Arunachal Pradesh, Gandhi said that the Congress wants to connect the state with the rest of the country through infrastructure. “RSS and BJP want to impose one ideology on the entire country. They want to destroy the unique culture of Arunachal Pradesh. We do not impose and will never impose on the culture, language and history of Arunachal Pradesh. We need to connect Arunachal with the rest of the country through infrastructure,” he said. He further said that the Congress will open banking system to small businesses in Arunachal which will, in turn, create job opportunities for youth. Later in the day, Gandhi will interact with civil society groups in Itanagar.